Greg Seider - award-winning cocktail bar owner and author of Alchemy In A Glass: The Essential Guide To Hand Crafted Cocktails - will take you through a ground up, culinary inspired approach to crafting cocktails, with an emphasis on whole plant ingredients and tea infusions - from fundamentals and techniques to creating Master Level crafted cocktails with artisanal spirits. Guests will enjoy an interactive Masterclass and discussion over the essential basics of crafting cocktails. In addition, guests will be broken up into groups for some hands-on shaking and stirring, with a competitive element introduced for which the winning team will take away a SEIDERHOUSE essential Bartending Kit. ● Initial introductions and tasting from Greg Seider on history of the cocktail. ● The Science of Shaking and Stirring. Straining, Garnishing Techniques, Style, and how these affect the balance of the cocktail. ● The Proper sequence and importance of choosing Specific Spirits and ingredients in building a cocktail. ● Incorporating the health benefits of hand blended teas, spices and plant-based medicines, while integrating the skills and knowledge of world class cocktail makers to make epic and delicious cocktails. ● The Precision of Jigger measuring for accuracy on recipes. ● The proper use of Ice on controlling temperature and dilution in the cocktail. ● Learning the Alchemist foolproof formula for creating any Short or Long drinks. ● Hands on behind the bar training on creating some of the most popular Classic Cocktail Recipes. That’s right! We're gonna Get our Shake On!!! ● How and Why the Alchemist-adapted recipes makes Classic Cocktails even more balanced and best-in-class than their traditional counterparts. ● The Essentials of choosing the right spirits to enhance the flavor and Balance of your cocktails. 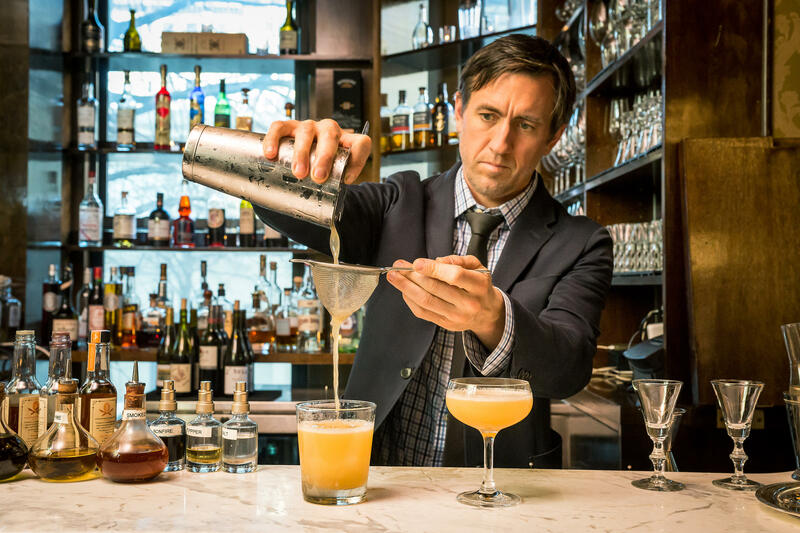 An interactive component with multiple stations are set up with all the essentials tools for members to get hands-on training (you guys are getting behind the bar) in the art of Stirring and Shaking cocktails. A 90-minute masterclass on the essential basics of crafting cocktails from artisanal spirites and whole plant ingredients. The Alchemists's Kitchen is a new and unique destination in the Bowery. More than a botanical dispensary and a whole plant tonic bar serving elixirs and healthy treats, we are a gateway into a conscious lifestyle and community through our plant-based products, wellness events and transformational workshops.